Veteran Pennsylvanians known just how cold and bitter winters can get around here. Heating should never be taken lightly. It’s a comfort, certainly, but it is also dangerous to neglect. PA homes utilize a wide variety of heating systems, ranging from traditional oil baseboard to fireplace to natural gas. 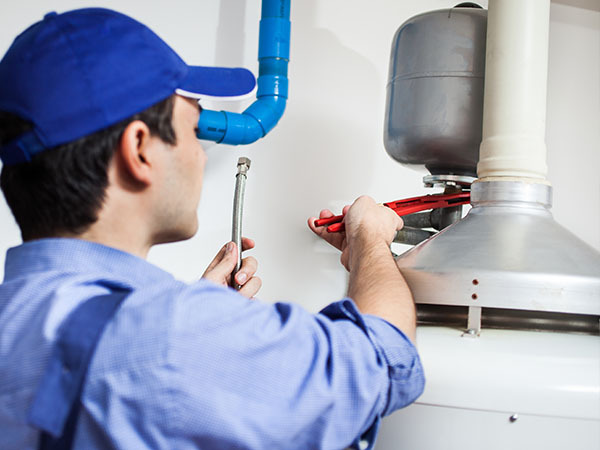 Our specialties are heat pump, ducted heating systems, and natural gas installations. We’ve seen it all and know how to make the most efficient system possible for your home or business. Replacing an old heating system can provide improved efficiency, lower energy bills, and convenience. With an upgrade from B&L Ott, you can experience better comfort and rest assured that your family will be warm. These are just a few. The list goes on. With many different options, it can be difficult to choose the right heating system. You can spend hours researching models and comparing prices. B&L Ott already has the knowledge to help you choose the right make and model. When you schedule a consultation with B&L Ott, we’ll visit your home and do a proper assessment. We will learn about your needs and expectations, then recommend a course of action. A B&L Ott technician may ask you about the size of your home, the size of your utility closet, and your lifestyle. Knowing how often you are home to use your system will also help us match you with the best model for you and your family. Installation differs depending on existing components and what type of heating system you choose. A B&L Ott technician will take you through the installation process during your appointment. They will estimate installation time and cost as well. A B&L Ott technician will also address any questions or concerns you may have. You can rest easy knowing that we’ve crunched numbers and determined the smartest solution. If you live in Berks County or any of the surroundings areas, consider contacting B&L Ott for your system installation needs. We have a reputation for quality and service, and we aim to prove to you why we are so respected in this industry. Let’s Install Your Heating System!